Since becoming a Councillor I have been acutely aware of concerns in relation to lack of sufficient car parking spaces in the Seapark area which is exacerbated when the weather is particularly good. 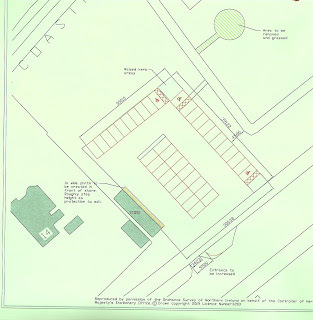 I therefore raised a suggestion that the carpark is redesigned to accommodate more vehicles via road markings in 2010 and after following up the issue on a number of occasions am delighted to learn that work is due to commence later this month and be completed by middle of March 2013. Work will involve extension of the existing area to maximise number of available parking spaces, improved entrance, line markings and allocation of designated spaces for the use of those with special needs. Whilst the improvements will not eliminate parking problems it will hopefully help reduce scale of the problem and make the Seapark area more attractive and accessible for visitors who wish to go for a walk along the Coastal Path, visit the playground, use the nearby pitches or purchase an ice cream when the van is present.